My daughter is in LOVE with Valentine’s day. For over a month now her daily highlight has been that Valentine’s day is coming. Although I’m of the school of thought that every day is a day to show the special people in your life how much they mean to you I also love a reason to celebrate. I try and keep it low key, I buy the kids a small heart-shaped box of See’s Candy just like my dad used to do for us, and I make a nicer dinner than usual with something chocolate for dessert. 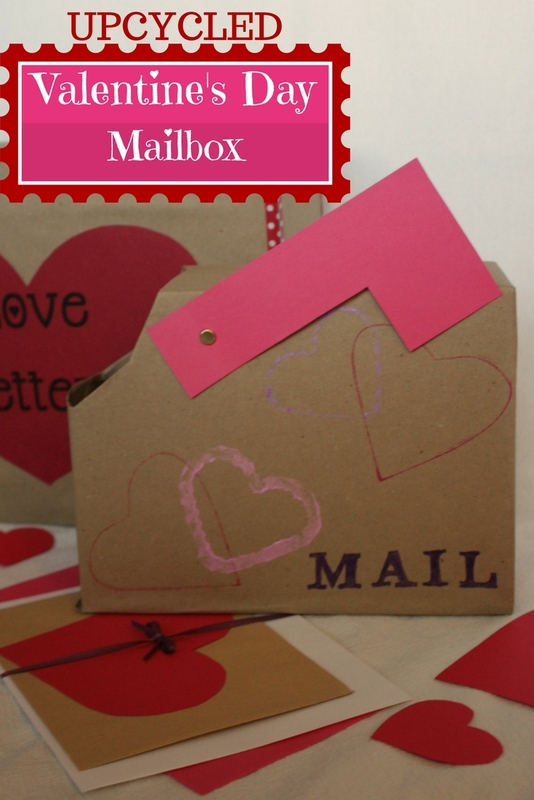 I thought it would be fun to add to the minimal valentine’s decorations that we have by creating a couple of valentine’s mail boxes that we could use to deliver our valentines. 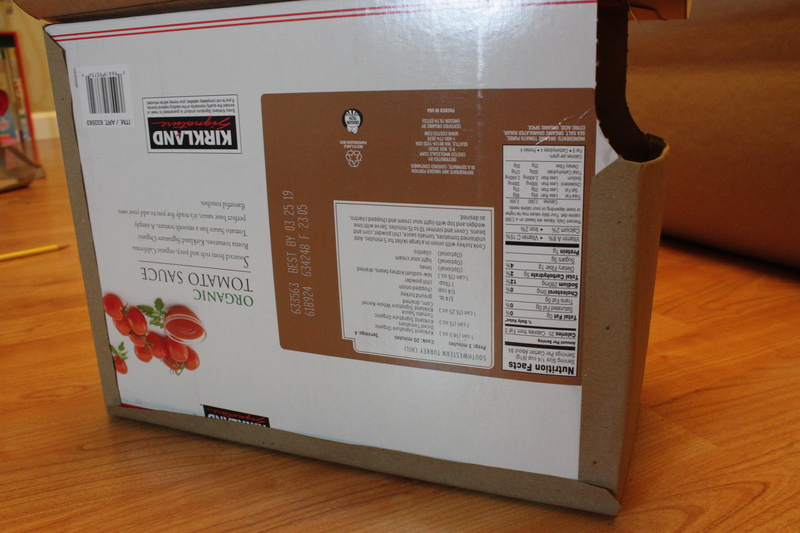 If you shop at Costco and purchase canned tomato products or canned beans you are familiar with the boxes the cans come in. I thought they were the perfect shape for an upcycled mailbox. 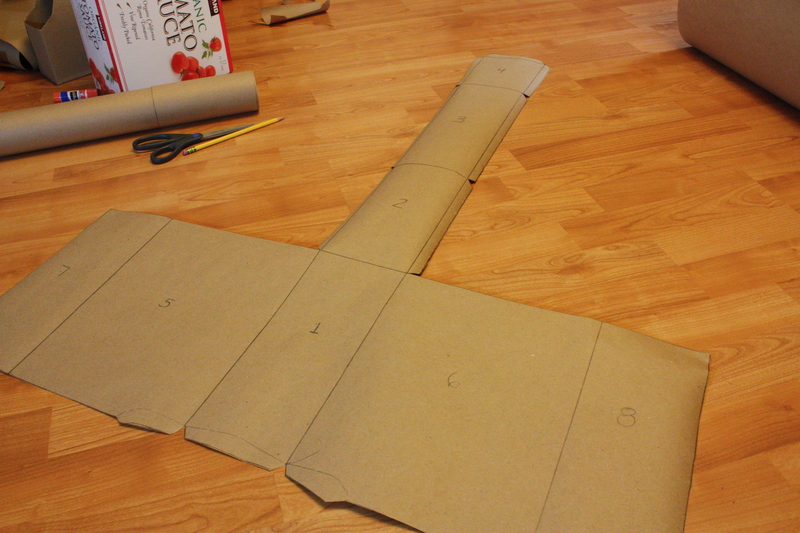 Start by laying out a large sheet of craft or wrapping paper. 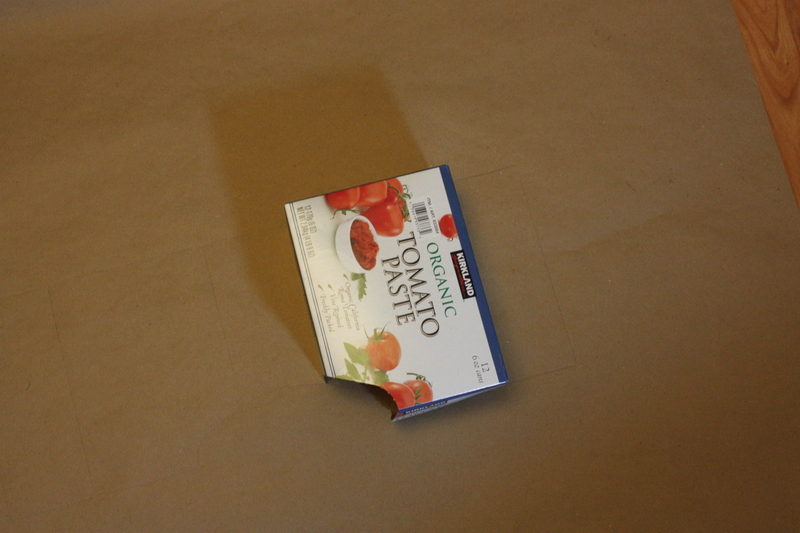 Trace all sides of the box. 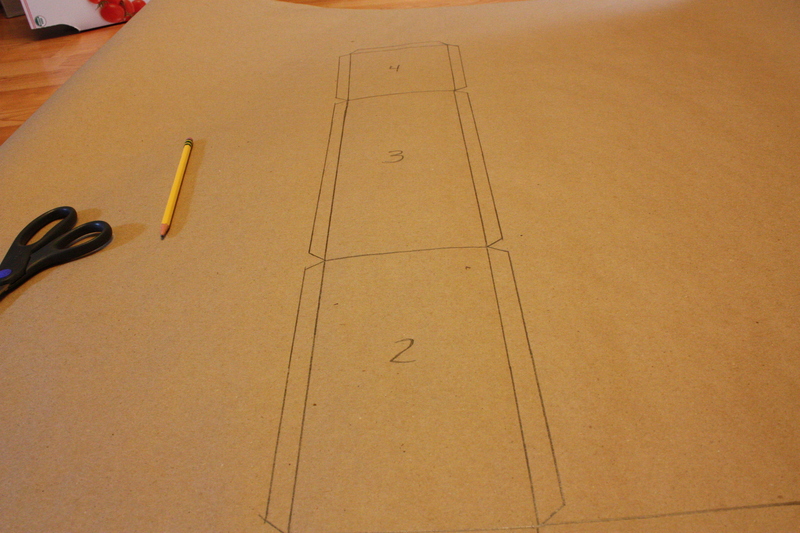 Start with the top of the box then rotate the box until all sides have been traced to create a template like this one. 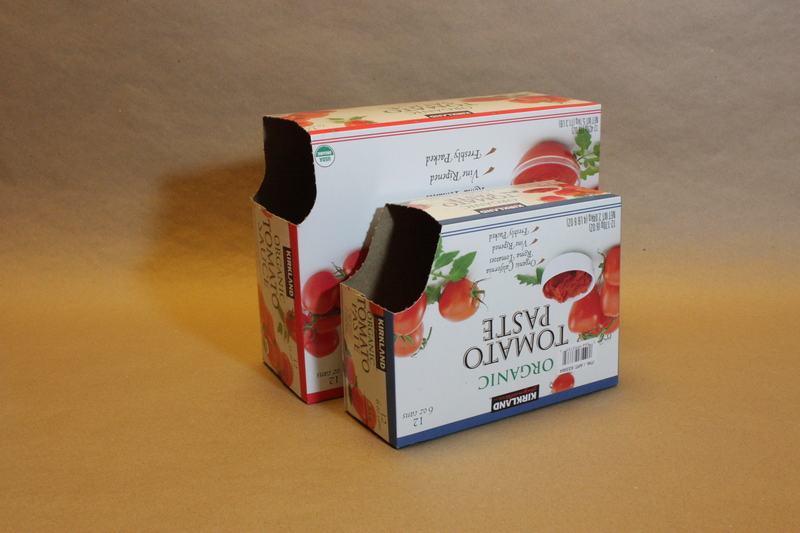 Some of the sides will need tabs added in order to create a clean edge when gluing the paper to your box. 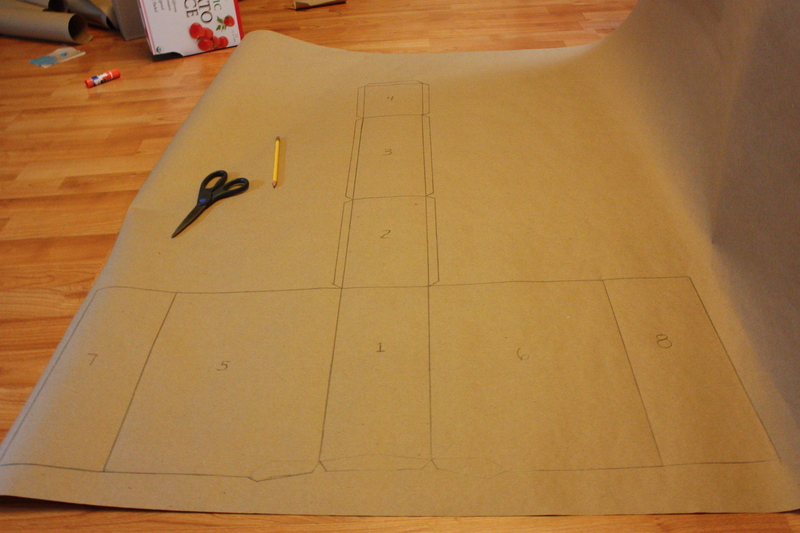 Label the template like the picture below, this is the order in which you will glue the paper to the box. 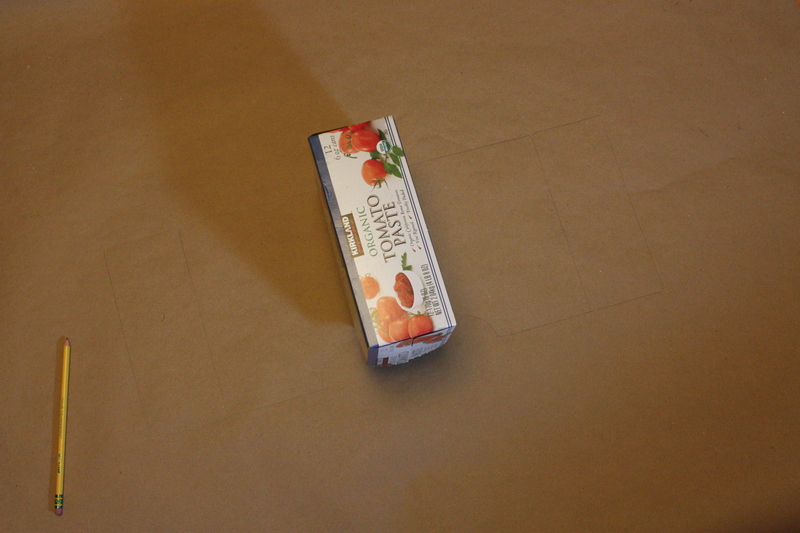 Glue the paper to the box one side at a time making sure to glue down tabs as you go. 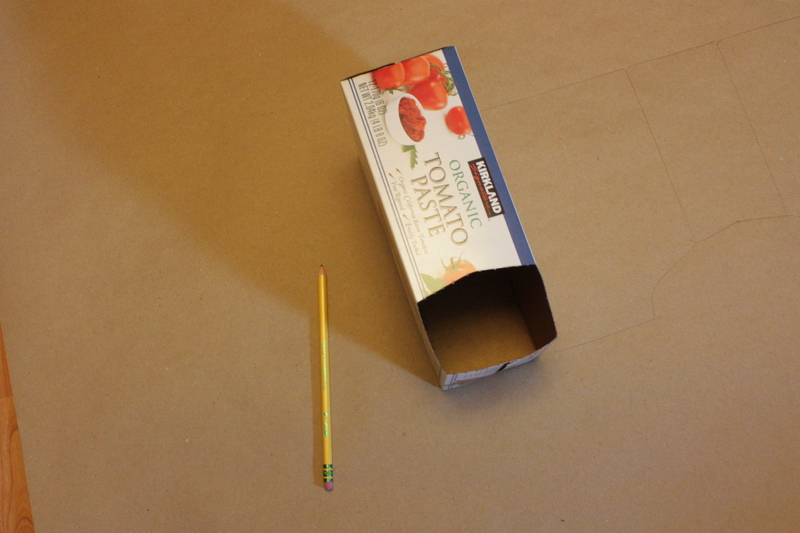 When you’ve finished gluing the paper to the box you have a blank slate to decorate as you wish. 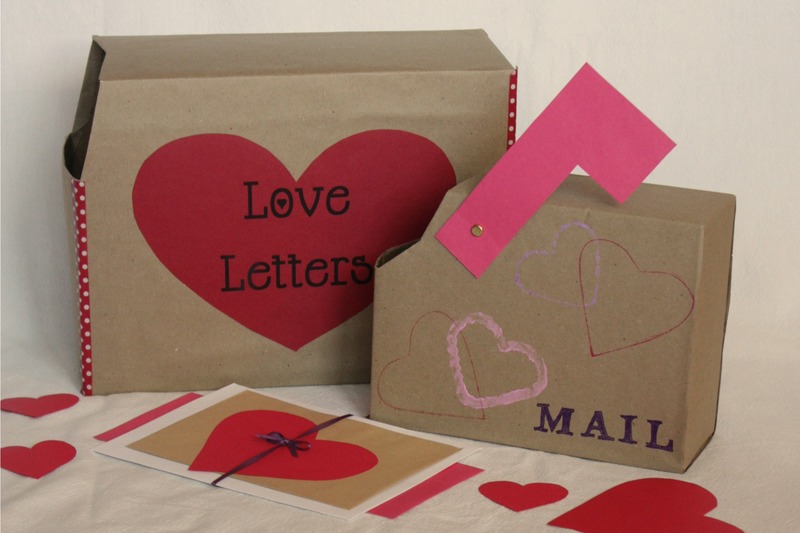 For the large box I used washi tape and a simple heart that I printed to say “Love Letters” on my ink jet printer. 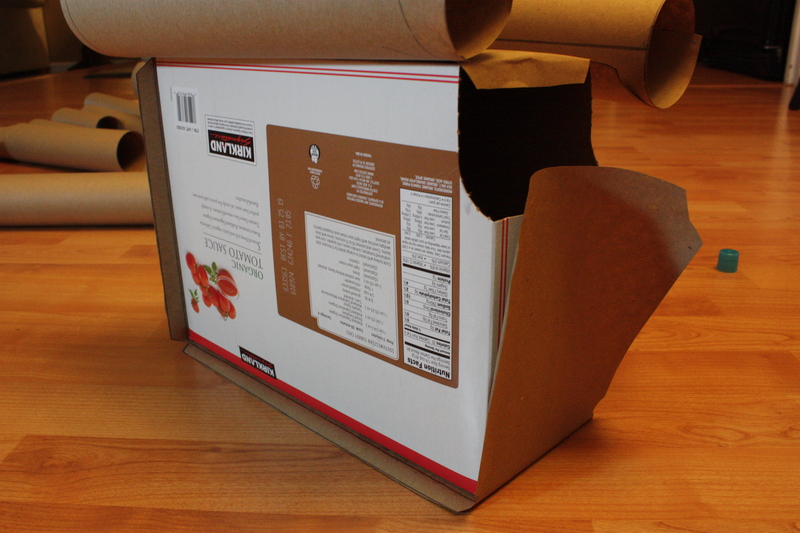 The smaller box I decorated using cookie cutters as stamps. 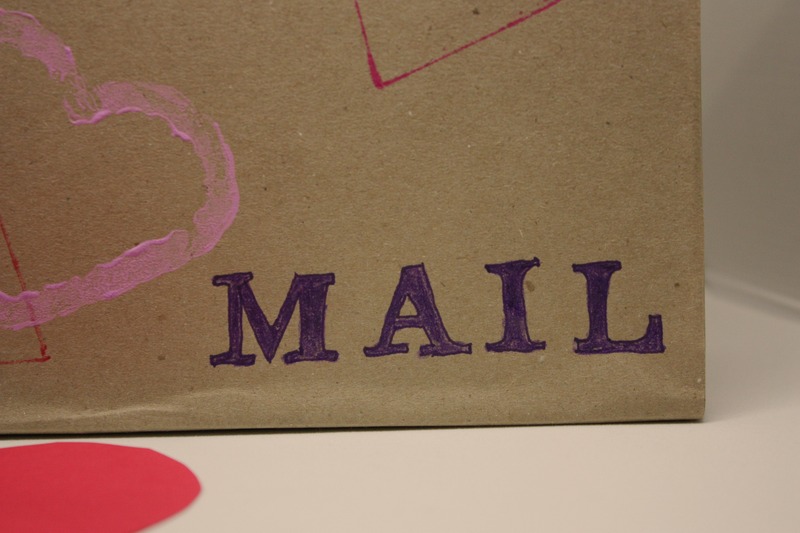 I stamped different sized hearts with ink and acrylic paint then hand letters the word “mail” with a purple ink pen colored in with purple colored pencil. 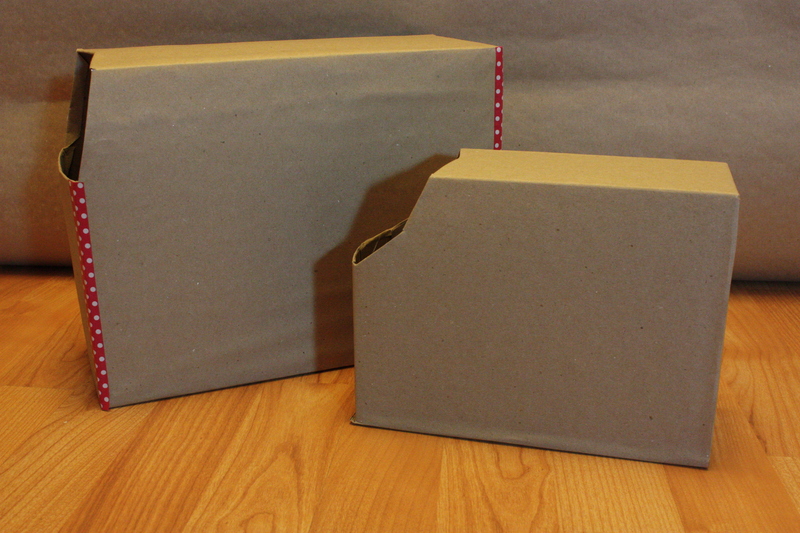 Using heavy cardstock and a brad, I created a mailbox flag for one of the boxes. You could use a variety of other craft supplies including stickers, paint, glitter, paper doilies, and ribbons to create your own unique, upcycled mailbox. The possibilities are endless. 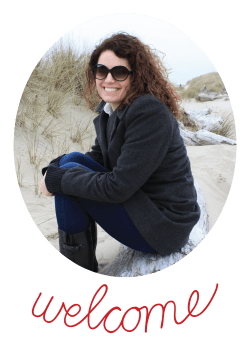 You’ve got mail!